Matthew Wright was the second leading scorer for Mighty with nine points. SINGAPORE – It was Kiefer Ravena’s turn to shine for Mighty Sports Apparel Philippines as the country’s representative squeaked past the Singapore Slingers, 72-70, to set up a final showdown with the taller Shanghai Sharks in the 2016 Merlion Cup basketball tournament. Taking a break from his NBA D-League workouts, the two-time UAAP MVP made the go-ahead basket with a strong drive before Joseph Yeo made the clutch a three-pointer that gave Mighty Sports a 72-68 cushion with 42 ticks left. The Slingers trimmed the lead to two with 28 seconds but a crucial turnover by the hosts' Filipino import, Jeff Viernes, following a botched inbound by Dewarick Spencer sealed the win for Mighty Sports. 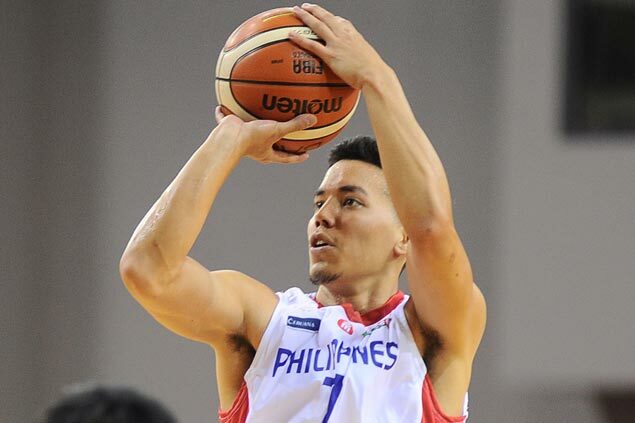 Mighty Sports coach Charles Tiu rued the team’s woeful shooting as they made only 36 percent of their shots. “We had a horrible shooting night, just 36 percent, and (Al) Thornton had an off night. But the boys found a way to win,” said Tiu said. Backed by HC Technology Pte. Ltd., Huishi International Group Co. Ltd., Cebuana Lhuillier and Scratch It, Mighty Sports is eyeing back-to-back international titles after winning the Jones Cup in Taiwan last July. But to achieve its goal, Mighty Sports must hurdle the Shanghai Sharks, a team co-owned by former NBA star Yao Ming. The Sharks, who like Mighty also complted a two-game sweep of their group elims, downed the Seoul Samsung Thunders, 76-70, to earn the first final berth in the tournament revived after a 20-year hiatus. Mighty Sports raced to an early 21-15 lead but found its offense sputtering as import Alford Thornton struggled, making just 14 percent from the field for the night. The Slingers closed out the half with a three-point lead at 36-33. Singapore padded its lead early in the third to 44-35 until Mighty Sports, behind Spencer’s hot shooting, rallied to regain the upper hand entering the last quarter, 56-54. It was a see-saw battle in the fourth as Singapore imports Xavier Alexander and Justin Howard pushed the Slingers ahead, 68-67, with a minute and a half left in the game. Spencer led Mightt Sports with 31 points. Mighty Sports Apparel 72 – Spencer 31, Wright 9, Ravena 8, A. Thornton7, H. N-Dyiaye 7, J. Yeo 5, R. Banal 3, F. Golla2, M. Douthit0, J. Brickman 0. Singapore Slingers 70– J. Howard 24, Alexander 20, J. Viernes 7, Wong W.L. 7, Oh W.J. 5, Kwek W.M. 4, Wu Q. 3, Ng H. 0, Low W.R. 0.